My novel draft (yes, the one I was working on here) was finally finished and zapped off (all 71k of it) for a critique last Monday. Yes, I know, weeks later than it was promised but it wasn’t through lack of trying or laziness: it just took a heck of a lot longer than I expected. What a relief, though! As a friend of mine said, it felt like the end of exams. Of course, it will be winging its way back to me in a few weeks’ time and then I’ll have to start all over again, with the third draft and all the amends that I’m expecting to have to make but for now.. ah, sweet freedom! It’s the first time I’ve ever actually written a novel from beginning to end and it’s quite a satisfying feeling. Not, I hasten to add, because I think it’s brilliant. I suspect the chances of it being published are slim. I’m looking on it more as a learning experience. No, the reason I’m feeling pleased with myself is that I’ve proved I can do it. I can write something that long. I never thought I could but I can. I can sit in a room on my own for hours on end, for days on end and conjure up something, from my imagination, that has a beginning, middle and end and actually isn’t gobbledygook. And if I can do it once, I can do it again. Only better, next time. (And, hopefully, a bit quicker). I gave myself last week ‘off’ as a reward but now I need to buckle down and get some short stories written. I haven’t written a new short story since December because (this is another thing I’ve learned!) I can’t write a novel and short stories at the same time. It has to be one or the other. Something that people don’t realise (not you! I know you realise this!) is that when you’re writing a first novel, you don’t earn any money. So, for the past three months I haven’t been writing anything that I might be paid for. And I was hoping that my ALCS statement today would save my bacon – because it has for the past two years – but this time, it was a very paltry amount (only about 15% of what I got last time), so that’s not going to last very long! Now that I’ve finished all that writing, I can do other things too: like use my soup maker, finally! (I’ve only had it for 6 months). I actually got as far as getting it out of the box today and reading the instructions. I felt fairly confident that I was going to be able to make broccoli and blue cheese soup but then.. disaster! My OH, who’d kindly done the shopping, had forgotten the celery! (It was on the list!). So, the soup maker remains pristine and unused until I can get to the shops tomorrow. First World problems, I know. I’ve also been able to start reading again! Yesterday I finished Joanna Cannon’s ‘Three Things About Elsie‘ which I loved (and which is on the longlist for the Women’s Prize for Fiction 2018). On a completely different note, the lovely Paula Williams (who I met once at Writers Holiday in Caerleon although she probably doesn’t remember), has started a new writing blog. 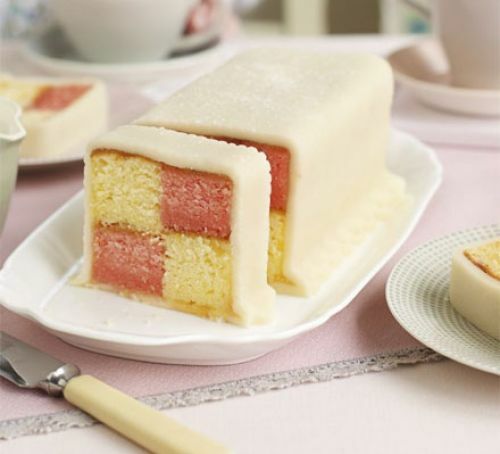 If you read ‘Elsie’, you must eat Battenberg at the same time. This entry was posted in Books, Finding Time To Write, Novels, Short Stories, Successes and tagged Paula Williams; Joanna Cannon. Bookmark the permalink. 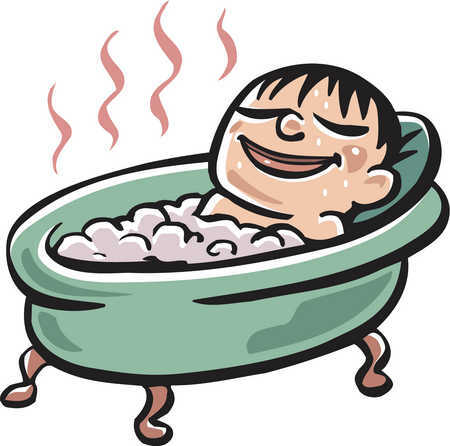 20 Responses to And Relax…..
Congratulations on your novel draft! Woohoo! I am plugging away on my first novel, too, but I am two weeks plus another draft behind you. Well done finishing your novel, It’s a great achievement getting to the end. I can only imagine as I’ve been writing mine for blooming years! I’m probably going to be one of those people Kate mentions in her comment. I’m sure you’ll get back on writing your shorts too, probably with a renewed energy as you’ve been off the job for a while. Thanks, Maria. The only reason (I think!) that I got to the end was because I had a deadline – ie: I’d promised it to the person who was going to critique it for me. Even though I missed the deadline (twice!) and had to ask for an extension, it spurred me on. Also, everyone kept asking me ‘Have you finished it yet?’ and I was too ashamed/embarrassed to keep saying ‘No! Nearly…’ so that was another spur! Perhaps you need a deadline? (or someone that keeps pestering you!)? Anyway, good luck with it. Thanks, Wendy! I know you have done it yourself so you know what you’re talking about! I think it’s a confidence thing, isn’t it? It gives you a real boost to realise that you CAN do it – regardless of the ‘quality’ or whether it will ever be published. Just getting to the end of something that big is an achievement. You’re right, getting the draft of a novel completed is very satisfying, no matter how rough that draft and how many more we may need to do before we feel we’ve truly finished writing it. Yes, Patsy and I know you’ve written quite a few novels (as well as all your short stories!) so you know what you’re talking about! I’m not keen on marzipan either but I manage to force it down sometimes (if I like the rest of the cake!) Thanks for your good wishes! Well done, and lots of luck with it, Helen! Congratulations, Helen! As others have said, you’ve done something most people never achieve – although they all say they’re going to when they ‘get the time’!!! And yes, of course I remember you from Caerleon. They were great times, weren’t they? (Not to mention the lovely desserts!). Thank you so much for the link to my blog. It is very much appreciated. I am still very new to blogging and am in awe of yours. It manages to be friendly and informative at the same time. Thanks Helen, you made me laugh! And I do indeed remember the kitchen party. As I recall, Simon Whaley was in fine form!! Enjoy your newfound freedom. I, too, love it when the ALCS payment arrives; it always feel a bit naughty, as though I haven’t earned it. Popping over the say hellow to Paula now. Well done for sending of your draft novel. Maybe that will be me one day. But only if I stop reading lovely blogs like yours, or writing my own blog posts!